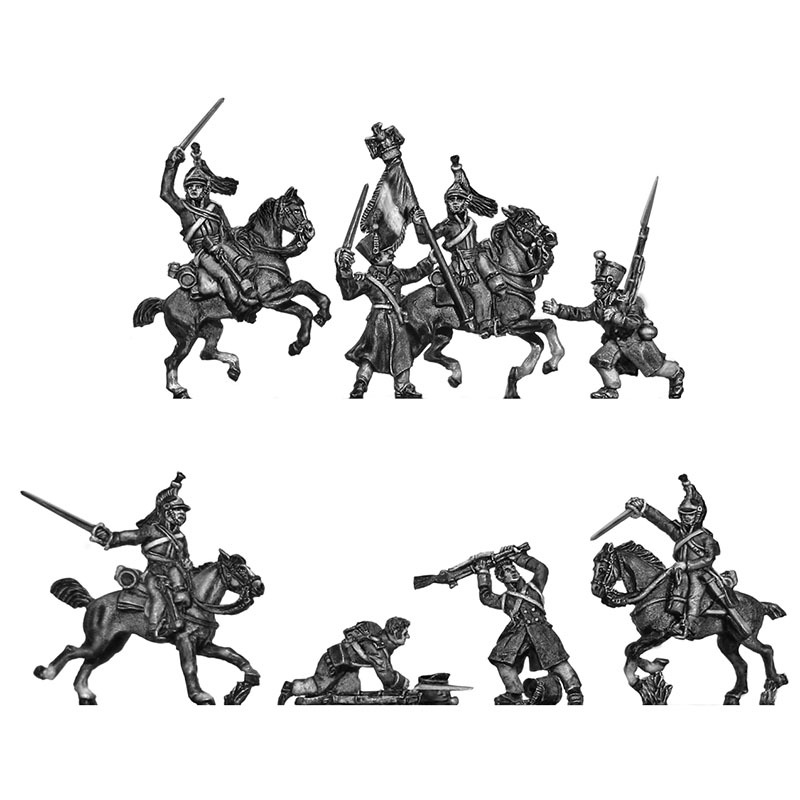 Fighting 15s has received new licensed moulds for AB Figure’s 15mm 1810-14 Saxons and Eureka Miniatures’ 18mm Seven Years War Austrian Cuirassiers. These replace moulds that have worn out. The codes are now restored in the online shop and customers are able to order them again. 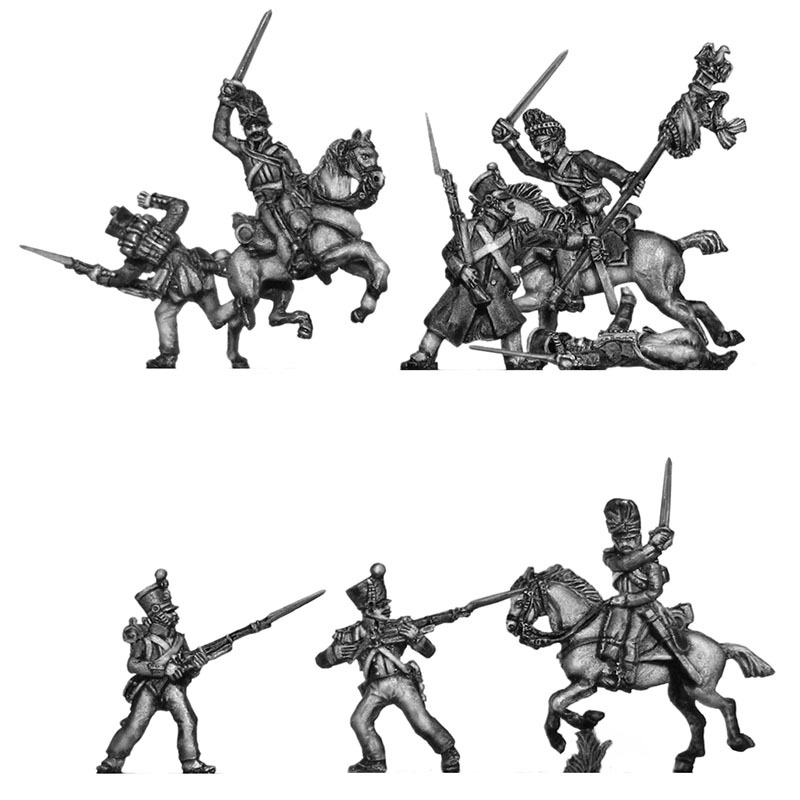 The figures affected are SAX02 Saxon Grenadier, SAX03 Saxon light infantry skirmishing and SYW234 Austrian Cuirassier. Our moulds for SAX01 Saxon Fusilier and the Saxon command figures (SAX04 to SAX07) were replaced earlier. Pack contents and prices (inc VAT) are as described on the Fighting 15s website. The arrival of these sets by and large completes the game of catch-up that Fighting 15s has been playing to get the 20mm WWII range from AB into stock. 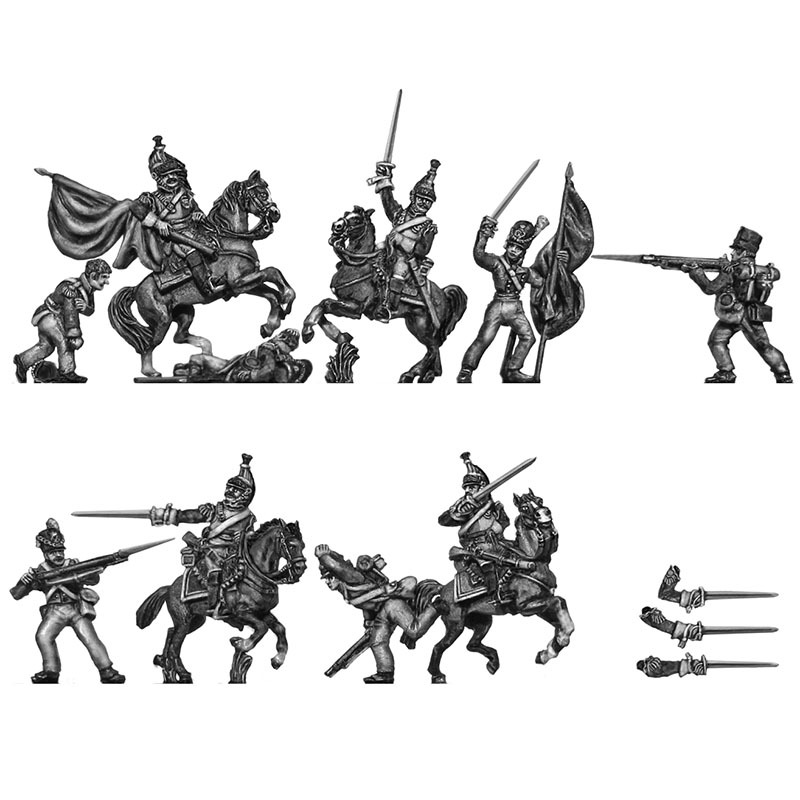 Customers who subscribe to Eureka’s newsletter will no doubt already have seen the news that the first release of AB Figures’ 15mm 1815 French infantry is available. This close to Christmas, coupled with the seasonal closure of AB Figures/Eureka Miniatures, it is impossible for Fighting 15s to obtain stock until the new year. However, Fighting 15s will not be ordering in stock. Instead, Fighting 15s will be supplied with licensed moulds by AB/Eureka to cast these figures in the UK. Update (19 May 2016): We regret that we currently have no news about when licensed moulds will be made available to Fighting 15s. All our worst estimates as to an arrival date for the moulds have slipped, and therefore we have stopped trying to predict when they will actually arrive in the UK. Production of moulds is entirely dependent on Eureka Miniatures’ mould-making schedule, over which Fighting 15s has no influence whatsoever. The new British generals from AB are not yet released and Fighting 15s can therefore neither order them in nor obtain them. All enquiries regarding the availability of these latest sculpts from Tony Barton will be directed to this post. Fighting 15s will post a news item to announce the availability of the figures once the moulds have arrived and have been tested. Details and prices of packs are as given in the online shop. BK11 and KK82 are one-piece castings and cost £1.20 each including VAT. ER76, ER77 and RKK29 cost £2.40 including VAT for a set of four figures. Fighting 15s tries to provide four different variants in each artillery crew set, but the variant mix supplied as stock may sometimes make this impossible. All AB figures are sculpted by Tony Barton. The figures are available to buy now in the Fighting 15s shop and for a short time are available in the New Arrivals section. 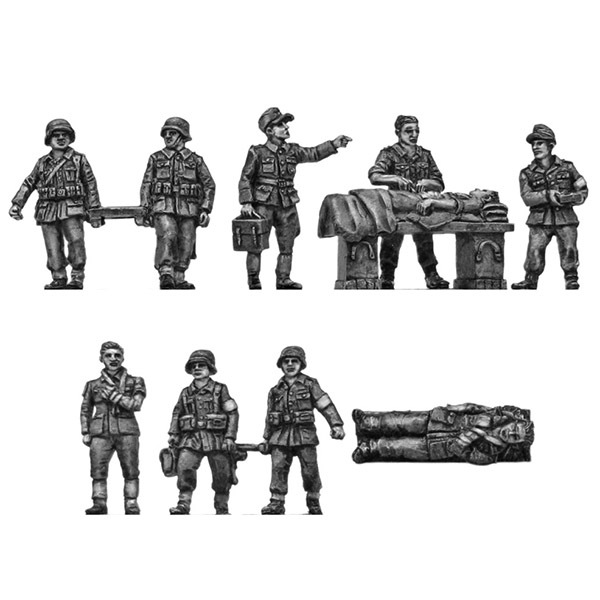 Fighting 15s has received the following new releases for the 20mm range of World War II figures from AB. All codes are in stock. They are initially listed within the New Arrivals section of the shop as well as their normal categories on the website. Prices and contents as described on the website. We have more new releases for this range on the way. Eureka Miniatures of Australia’s dedicated website for AB Figures is now live. The AB Figures website is separate from www.eurekamin.com.au, which now contains only Eureka’s own and other licensed ranges, although AB Figures will still be made and supplied by Eureka. This has no effect on the Fighting 15s website, which continues to have both AB and Eureka Miniatures available from a single website. Fighting 15s continues to provide AB and Eureka figures imported from Australia, plus AB and Eureka figures cast under licence here in the UK. 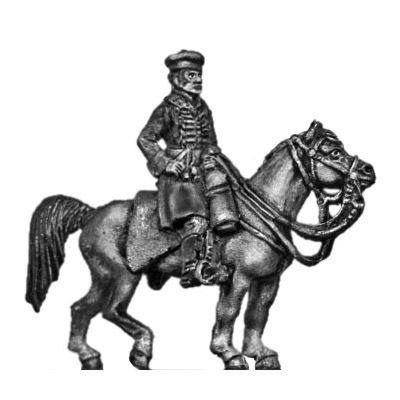 The launch, however, has seen an increase in the price of AB 15mm figures, from 0.91 cents to 0.95 cents for foot figures, from AUD 1.82 to AUD 1.91 for mounted figures, and from AUD 3.64 to AUD 3.82 for cannon. This is the first price rise for 15mm AB Figures in Australia since late 2007. Prices in the UK, of course, fluctuate according to the exchange rate. Fighting 15s prices’ have been going down as the exchange rate improves, with two reductions in the past year or so. Accordingly, given recent improvements in the exchange rate, Fighting 15s has decided to hold prices at their current level, so there is no increase in the price of 15mm AB Figures for Fighting 15s’ customers. In addition, Fighting 15s has reinstated its offer of free standard delivery for UK online orders of more than £100 ex-tax ex-delivery in the shopping cart. This applies to all the ranges that Fighting 15s supplies.